We are thrilled to announce that DJs Weaver (SEAF, Tryst) and socks have been confirmed to spin an effervescent soundtrack for the upcoming CD Release Party at Barca on November 8. Don’t miss out! This will be the first chance to hear the new remixes, which will be available at the event on a limited edition “Chasing the Horizon” single. 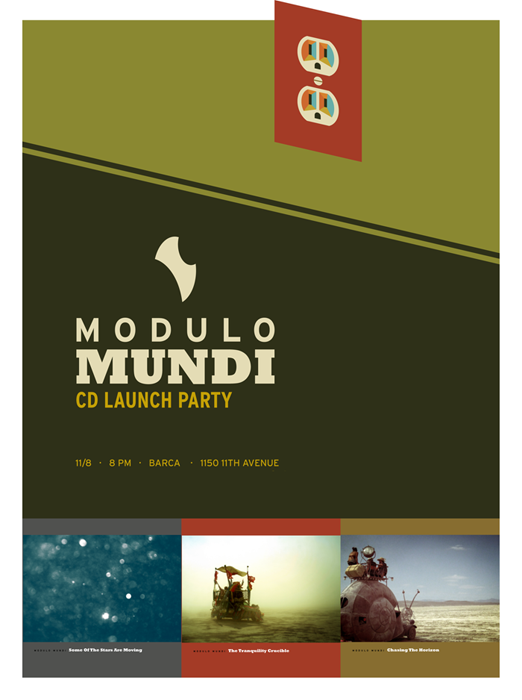 Add your RSVP to the Facebook Invite and become a fan of Modulo Mundi to get the latest updates. 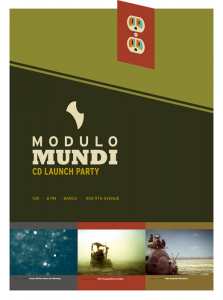 Modulo Mundi is having a launch party on November 8 to celebrate the final of a trilogy of releases this year – and you’re invited. We have a great Capitol Hill venue with a no-host bar, and we’re busy lining up some hot DJs to prep your ears for the main course. “Stars” and “Crucible” CDs will be available, as well as t-shirts and stickers. “Chasing the Horizon,” a four-track single EP, will be available on limited edition, signed mini-CDs in honor of its official release on this day. So, come on down and support your local artist, and say thanks to Barca for hosting us by purchasing a drink. It would help us a lot of you could RSVP, either via our contact form, or our Facebook invite. According to bq Mackintosh, “The Tranquility Crucible is a place where all things absurd and profound are forged into you until you find peace with all that you are.” These seven sparkling tracks make the perfect soundtrack to any journey of transformation. If that’s not enough awesome news for you, we’ve got new remixes, a video or two, and a release party coming up over the next few weeks. It promises to be a great ride, so be sure to add Modulo Mundi to your favorite RSS reader or social network to keep up on the latest. Some Of The Stars Are Moving will soon be available from fine retailers such as iTunes, Amazon.com, and Rhapsody just as soon as they finish crunching the bits. Which isn’t nearly as painful as it sounds, I assure you. In honor of the 2010 Burn – the major inspiration for The Tranquility Crucible – Modulo Mundi is gifting two versions of Whatever Experience They Want to the community at large. As those of you who create art know, there is a lot of time, effort, and expense involved. If you would like to help support these efforts, the single will be available for purchase online starting Monday, August 16th. Your help is deeply, deeply appreciated! 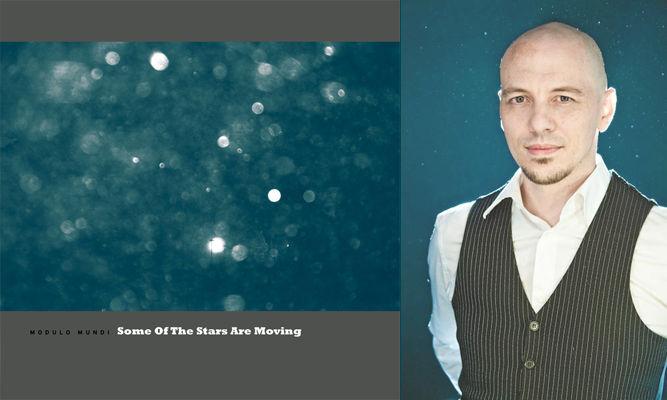 July 20, 2010 (SEATTLE, WA) — Techno project Modulo Mundi is gearing up to release its first single “Some of the Stars are Moving” on August 16. Three alternate versions of the title cut are included, along with the original and a remix of “Whatever Experience They Want,” the darkest track on this effervescent first effort. The original versions are from the upcoming seven-song disc “The Tranquility Crucible,” inspired by what front-man bq Mackintosh calls “the transformation of the Black Rock Desert into a crucible of the extraordinary,” referring to a singular arts festival held annually on the dry lake bed. “Some of the Stars are Moving” relives a crowd’s discovery of illuminated skydivers during a nighttime descent. Though this is his first release, “bq” (short for Blaque, which rhymes with opaque) Mackintosh is not new to electronic music, having cut his teeth in the labs of Thomas McKenney in the Midwest before relocating to Germany to absorb the proto-techno scene of the early 90s. More recently he’s been inspired by such Cologne-sound artists as Gui Boratto and The Field. Modulo Mundi will be releasing a debut album, “The Tranquility Crucible” in October. You can hear a limited preview of the 7-song EP here on this site, on Facebook, or MySpace. The release date will be announced soon! Subscribe to the our Twitter feed to get the latest information.